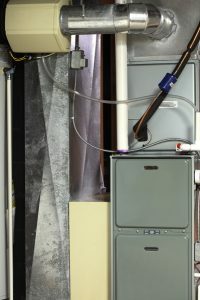 Does a Boiler Need to Have Regular Fall Inspections and Tune-Ups? Are There Risks If I Miss Furnace Maintenance This Fall? You don’t need us to tell you how important a working furnace is in this part of the country. We deal with harsh winters, and they can sometimes stretch into April. A home’s furnace is essential for getting a family through even a single day of winter. Probably the most important job maintenance does is reduce the strain on a furnace so that it’s less likely to run into a catastrophic breakdown. You don’t want to be trapped on a cold day with no heating at all, trying to get repairs done at a time when many other homes probably need heating assistance as well. Maintaining the heater right before winter is a great “insurance policy” against this sort of home comfort disaster. This is an important statistic to know: 85% of the repairs a heating system may need are preventable thanks to routine maintenance. That’s not the majority of repairs you’ll prevent; that’s almost all of them. You’ll not only save money, you’ll enjoy more convenience with a furnace that glides through the winter without giving you trouble. Your utility bills go up during winter because of the amount you need to run the furnace. There’s no way around that. But those bills will rise much higher if the furnace isn’t routinely tune-up and cleaned. On average, a furnace loses 5% of its energy efficiency rating (it’s AFUE rating) when it misses maintenance. We could’ve put this first and not listed anything else, because it’s that important. But we wanted you to see the other risks of an unmaintained furnace first. Any gas-powered appliance has the potential to create health hazards because of toxic gas leaks and fires. Although the modern gas furnace is built with safety as the #1 priority, lack of maintenance can lead to a safety precaution failure. So have the furnace inspected and tuned-up each year if for no other reason than to keep you and your family as safe as possible. Many of our customers have signed up for our “Automatic Maintenance Program.” Ask about the details and how it can help you with maintenance for your HVAC equipment around the year. If you do need furnace repair in Brighton, MI later this winter, you can rely on us to do the work. Our technicians aren’t high-pressure sales people. They are focused on getting customers’ equipment to work its best and for as long as possible. First Choice Heating & Cooling serves Fenton, Linden, Holly, and the surrounding areas. If your home had a voice … it would call First Choice!